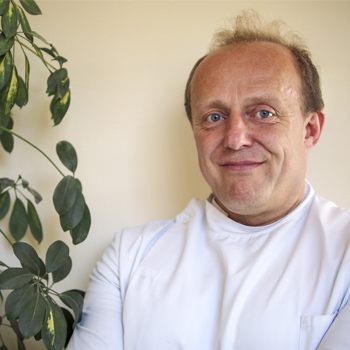 Andrew Cunnington qualified from the British School of Osteopathy (London) in 1988 and after a year working in Rochdale and then Chester and Liverpool established The Pain and Injury Clinic in Halifax in 1990. 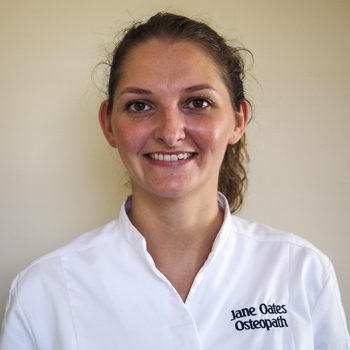 The practice now has two associate Osteopaths and a Pilates instructor, enabling him to divide his time between The Pain and Injury Clinic, lecturing at Leeds Metropolitan University and Wakefield Osteopaths, a group practice of Osteopaths and other therapists. He has post-graduate qualifications in Naturopathy (British College of Naturopathy and Osteopathy 1996) and Osteopathic sports care (Leeds Metropolitan University 2008). He is currently undertaking a post-graduate teaching qualification in higher education at The British School of Osteopathy. He commenced lecturing at Leeds Metropolitan University in 2008 in Functional Anatomy and Clinical Biomechanics, then as a tutor in the Wellness Centre (a student clinic at the university), final year Osteopathic technique and Osteopathic Evaluation, Diagnosis and Testing. Andrew has previously conducted lectures to the Northern Counties Society of Osteopaths in Neurology and Clinical Examination; Exercise and rehabilitation for the low back. Because of his experience lecturing at Leeds Metropolitan University any lectures involving anatomy, clinical biomechanics, Osteopathic clinical practice, philosophy and technique is happy to talk to any General Practitioners or NHS professionals interested in learning about the Osteopathic approach to healthcare.